In New York State, if you violate cell phone and texting traffic laws, it can cost you. Texting and cell phone tickets can cost you hundreds of dollars in fines and in some cases thousands of dollars in increased insurance premiums. It is imperative to fight your tickets with an experienced traffic violations attorney. Let us help you keep your points, fines, and insurance premiums down. No one should ever plead guilty to a texting or cell phone ticket without first consulting with a lawyer. New York State has some of the strictest texting and driving laws in the nation. The laws have been defined by both case law and statutes of the New York Vehicle and Traffic Law (VTL). While a simple violation, the law is intricate and complex. This is not the task to go at alone. You should always be represented by an experienced traffic lawyer that is thoroughly familiar with texting and cell phone violations in New York State. Call the Law Offices of Michael H. Ricca to speak with Mr. Ricca or one of the members of his staff regarding your texting and cell phone traffic ticket. As with all traffic tickets we are available for a no obligation telephone consultation. You were given a texting or cell phone ticket by a police officer. Now What? How can I get out of paying this ticket? How can I fight this ticket? Do I have a defense or should I just plead guilty? On what grounds can I fight my ticket? Do you already have a court date and need legal representation? The Law Office of Michael H. Ricca P.C. understands the consequences you will face for committing a texting or cell phone offense. We understand the law and fight for the rights of our clients. During our consultation we can tell you what is the best way to resolve your ticket. We will guide you through the process from start to finish. Most times you never need to appear in court. For many people this saves them both time and money as they will not need to take time off from work to attend to this matter. Are you still thinking “I was guilty so why should I hire a traffic attorney?”. Well this may surprise some people but oftentimes we can successfully reduce tickets even when the party is guilty of the offense. We can help resolve your texting and cell phone ticket under the best possible terms. We can minimize the consequences of texting and cell phone tickets. Do you know that people who are found guilty or who plead guilty may be subject to the following consequences? Payment of the New York State driver’s assessment fee. Cancelation of your car insurance. Hundreds of dollars in fines and penalties. Give us a call today to let us up you avoid these consequences. We have successfully reduced and dismissed countless texting and cell phone tickets. We will give you peace of mind. Hiring an experienced traffic lawyer will increase your chances of a successful outcome. When you are represented by counsel in the court room that knows the court language and policies you are one step closer to getting the results you want.  New York State traffic laws are established through the New York Vehicle and Traffic Law, or VTL. The VTL governs all aspects of traffic laws, starting with unattended motor vehicles (Section 1210) through school bus attendant laws (Section 1229-d). It also addresses cell phone and portable electronic device usage while operating a vehicle. Being found guilty of traffic offenses is a conviction. This is important when it comes to calculating your total points. Why? In the state of New York, if you accumulate eleven points within an eighteen-month period based on the date of the offense, the DMV will suspend your license and more. To calculate the points on your New York driver’s license, three things need to be taken into account. First, as stated above, points are totaled over the course of an eighteen-month period. The second is that you must be convicted of the traffic offense prior to the points being added to your license. Paying the fine is the same as pleading guilty. Both are “convictions” that result in points on your license. Third, it is important to note that the points are retroactively assigned to the date of the actual violation and not the conviction. Consequences range in severity. Let’s take a look.  – The New York State Driver’s Assessment Fee Can Cost You Hundreds of Dollars In Addition To Fines, Penalties, And Surcharges! There are a host of fines, penalties and surcharges associated with violating New York traffic laws. However, if you have earned six points (or more!) within an eighteen-month period, you are going to receive a Driver Responsibility Assessment fee notification in the mail. The Driver Responsibility Assessment fee is automatically assigned when you hit a six point threshold. This fee, which varies based on the violations, is an annual reminder to abide by New York traffic laws that spans three years. At a minimum, you are looking at a $100 fee every year, for three years, or a total of $300 over three years. If you have received more than six points, however, you will add another $25 for each point that goes over the original six. If you do not pay the Driver Responsibility Assessment fee for all three years and your license is suspended, you then need to pay the Termination fee in order to have your license reinstated. However, if you refuse to pay the Driver Responsibility Assessment fee or the Termination fee, your license will be suspended. Paying the DMV a total of $300 over three years may not seem like much, however, points add up quickly. Let’s say you were pulled over and ticketed two different times for texting while driving within a year. This results in a ten point accumulation for just two incidents that were months apart. However, this will immediately cause the DMV to issue a Driver Responsibility Assessment penalty. Because you have ten points, you will owe more than just the $100 each year. For the four points over your initial six, you will owe another $25 for each point. This means you owe yet another $100 every year, for three years. That $300 fee has now jumped to $600, and all it took was two tickets. One more ticket will also put you over the eleven-point limit. This means you will likely lose your driving privileges to a mandatory definite license suspension. Losing your driver’s license can result in serious issues, such as preventing you from easily getting to work. In addition to that, if you are pulled over and ticketed during your Driver Responsibility Assessment period, your fee will increase to reflect your continued disregard to the traffic laws of New York. That includes tickets for speeding, failing to obey traffic signs, and all other traffic violations. Most New York drivers are already paying too much for car insurance. Cell phone and texting tickets are looked upon unfavorably by insurance companies. Distracted driving, in general, is considered a serious liability for insurance companies. In fact, studies have proven that fatal accidents can happen within seconds of taking your eyes of the road. Choosing to answer a cell phone or respond to a text while driving shows your insurance company that you may be a liability. It is best to try to avoid having a cell phone or texting conviction on your license. Regardless of whether you are pleading guilty or not, it is important to return your ticket. Many cell phone and texting tickets issued in Nassau County are returnable to the Nassau County Traffic and Parking Violations Agency located at 16 Cooper Street, Hempstead, NY. All other cell phone and texting tickets are returnable to the City, Town, and Village Courts located throughout Nassau County. It is important to note that you only have a short period to return your ticket per the instructions on it. The Law Offices of Michael H. Ricca is your premier Nassau County traffic law firm. With years of experience, as well as a passion to help our clients – our team is here for you. Tickets and points can accrue rapidly. They can also create a cycle of problems that go beyond the fines, penalties, and license complications that result. It can be overwhelming, debilitating, and devastating. Being found guilty, or pleading guilty, to a traffic offense can cause you to accumulate points. However, it can lead to much more. The loss of your license, which is mandatory should you accumulate eleven points, can affect everything from taking your kids to school and getting to work to grocery shopping and making appointments. It can create serious financial difficulties as well. Mr. Ricca and his staff are committed to every client who retains our services. Unlike some traffic lawyers, Mr. Ricca strives to provide you with the quality counsel your case deserves. His attention to detail, skill, and thorough understanding of the New York traffic laws help to ensure you have the best representation in Nassau County. The Law Offices of Michael H. Ricca can help with getting your plea vacated. If you have yet to plead guilty, however, we can help you too! In fact, we have helped save our clients thousands of dollars in fines and thousands of points. If you have accumulated a large amount of points or have pled guilty by mail and now wish to undo it, please call our office today. 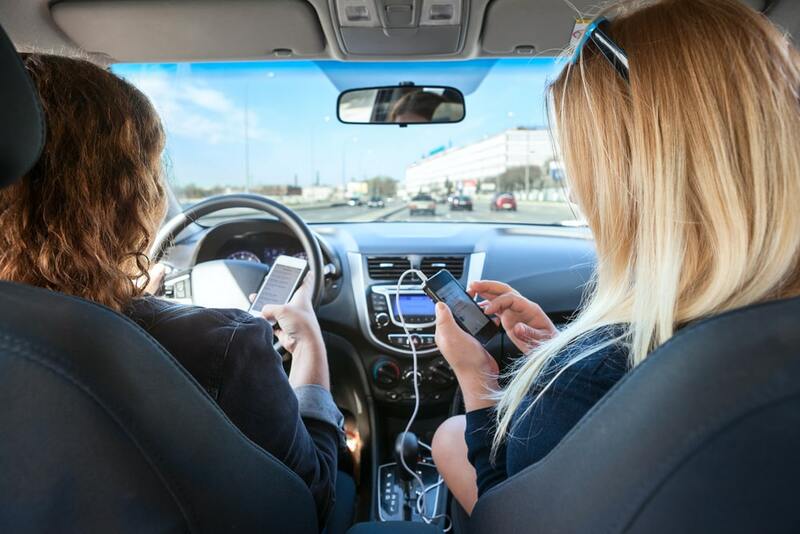 If a motorist is charged with a distracted driving offense such as 1225-D Prohibited Use of an Electronic Device or 1225-C2A Improper Use of a Cellphone in Nassau County, they may have the option to enter into the Distracted Driver Education Program (DDEP). If they are successful in the program, this allows the motorist to have their 5-point violation reduced to a no-point violation. The program is designed to modify the behavior of the motorist to be free of distractions caused by using and talking on their cell phones. To complete the program, the motorist must install a small device in their vehicle (similar in size and look to an ez-pass) and install an app on their smart phone that monitors their cell phone usage. If the motorist uses their cell phone with handsfree commands successfully during the course of the program, the reduction will be put in place. To be eligible for the program the motorist must have an iPhone 4S and above or an Android 4.3 and above. Additionally, the motor vehicle the device is installed in must have a bluetooth audio device. The fee for the program is $338.00 ($283.00 for all summons issued prior to 1/1/2017) payable directly to the court and an additional $125 dollars to purchase the monitoring device. If you are interested in this program, give us a call and we can assist you with determining if you are eligible for the Distracted Driver Education Program and getting entered into the program. When you hire the Law Offices of Michael H. Ricca we take care of all the work, and in most cases, you never need to appear in court.